No matter how old you are it’s always fun to dance on your Birthday. The Right Step’s dance artists can come to your home and make this happen. They will provide a playlist of music designed to get people moving and will tailor what they do to people at the party. If they want to partner dance, the dance artist will find a way. If they want to copy the dance artist’s dances they can do that too. Perhaps they will want to sit and sing, they don’t have to be dancing to enjoy the party. All of our dance artists who work with older adults or older frail adults are trained to facilitate Active Armchairs. That means they can think on their feet and make sure there’s something for everyone. 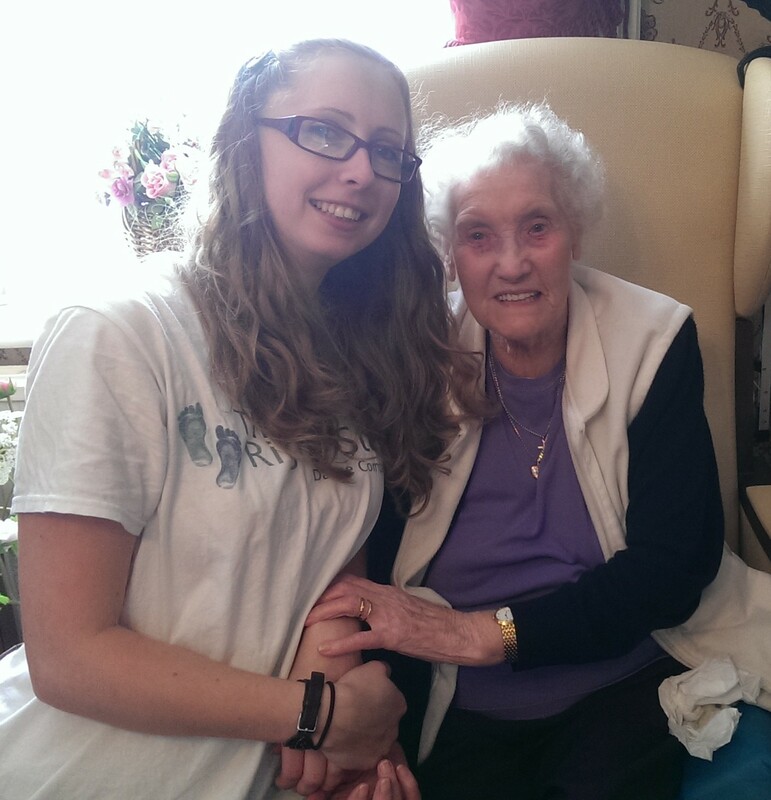 Ivy (in the photo above), now aged 97,has her own Squidoo article written about her.